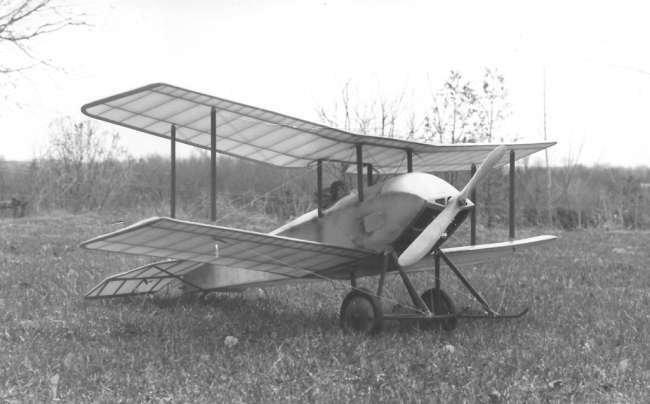 Christian and Ted had their own particular takes on the Bill Dean 1952 Duo Monoplane. Also... I noticed some pics of a lovely example of an old Walter Musciano design on your website the Pee Wee Pal - by John Ashmole. 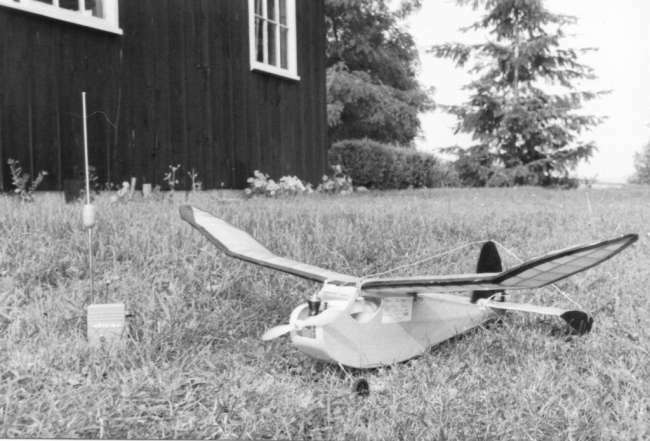 Here is a photo of my first ever RC model in 1969. I still have my original hand drawn plans on brown wrapping paper, but have long since forgotten the name or designer. Now I know!!! In lieu of twin rudders and a monowheel, I made the bold modifications shown. It had a hopelessly unreliable O.S. Pixie on rudder only, a slightly more reliable Babe Bee .049 in the nose, but was an excellent flyer despite the odds. It came down once out in the middle of Lake Katchewanooka (look that up on Google!) and had to be retrieved by canoe before it sank. It was subsequently dried out, and flew again! Katchewanooka Lake is one of the Kawartha lakes in south-central Ontario, Canada. It is about 5 miles (8.0 km) long and .5 miles (0.80 km) wide. The Trent Severn Waterway flows through Lake Katchewanooka into the Otonabee River at its outlet just north of Lakefield, continuing southwest through Peterborough into Rice Lake. "I was born in Peterborough, and lived there until I was twenty, moved around a bit, got married, and have been living in Northern Ontario for the past 34 years. It is an eight hour drive from here to Peterborough, so not really 'nearby' - but that is where I got my start in Aeromodelling. The picture of the Pee Wee Pal was taken there, of course. My brother still lives in Peterborough, and one of his sons (my nephew) is also named 'Christian Moes'." 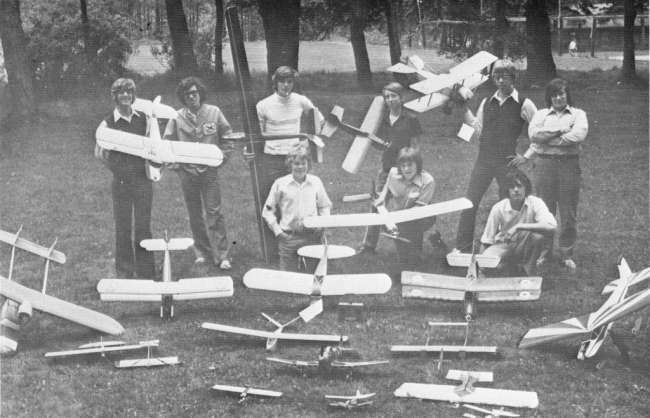 "As the Wikipedia reference mentions the village of 'Lakefield', here is another picture you might consider - The model flying club at my old school in Lakefield (1973) - a few years after the Pee Wee Pal went for its swim in the drink. That's me second from the right with the Sopwith Tabloid. I still have the Tabloid, but most of the hair is now gone." Christians version from 1973 was 3 channel RC at 44" span and powered by an O.S. Max20. It was his second published design, and was featured in Aug-75 Model Builder Magazine.